It is SO HOT . . . to all of you out there that live in Arizona, Texas, Florida or any where else that is super hot . . . how do you function??? All I want to do is drink ice cold drinks and jump into a swimming pool. The second I step outside, I start sweating. Thank goodness for air conditioners. This orange pineapple punch has been helping me cool down. 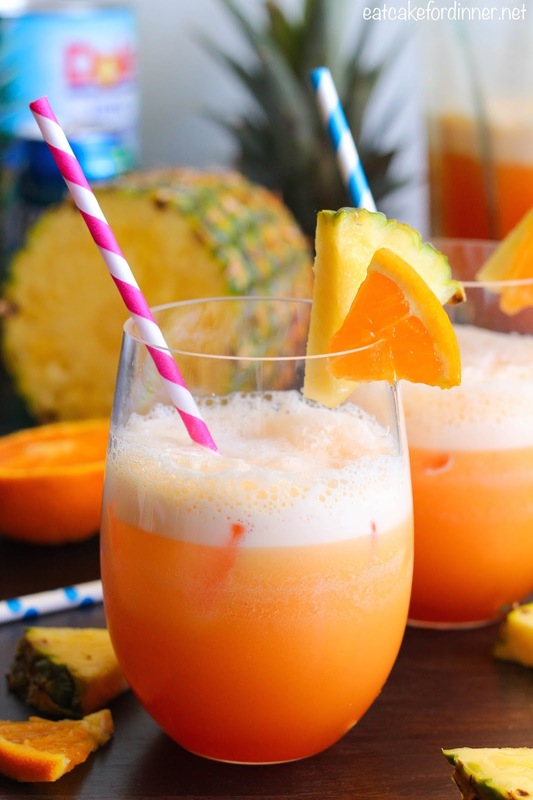 It's a super delicious and very refreshing drink. What have you been doing to keep cool this Summer? 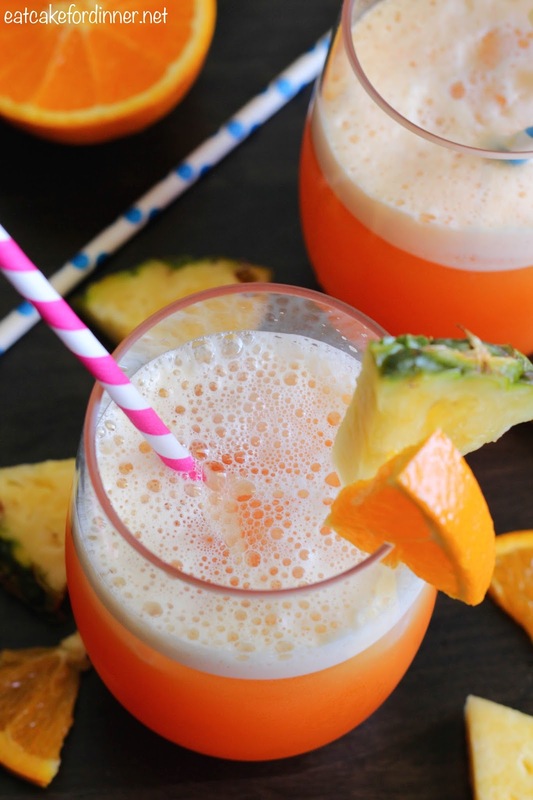 In a blender, blend pineapple juice, orange drink mix, sugar and water until sugar is dissolved and mixture is frothy. Pour into serving cups (or punch bowl) and add the soda. Serve immediately. Makes around 2 quarts.